Anna's Hummingbird. Identification, features, behavior and habitat. The Anna's Hummingbird is one of only 3 species of hummingbirds that are permanent residents of the United States and Canada. 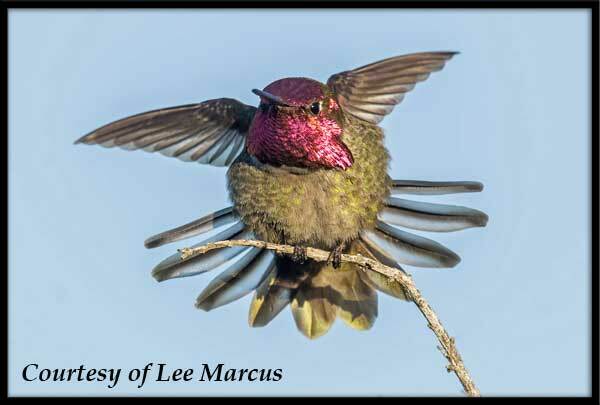 It is the most common of the western North America hummingbird species and the most common of the California hummingbirds. We can be grateful that this hummingbird is remarkably adaptable. Some other species once native to California have become extinct there because of vanishing habitat. The Anna's has instead expanded it's range both to the north and the east. They now migrate far north into western Canada during the summer months returning south to California in the winter. Large numbers make their way to southern Arizona in the summer before migrating back to California. 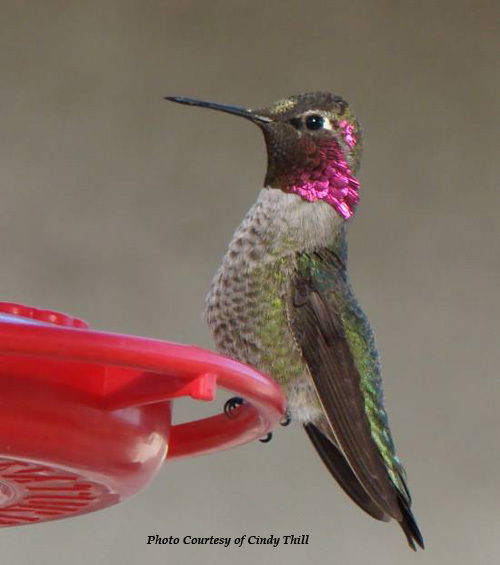 Common Name: Anna's Hummingbird (Interesting fact: Anna’s hummingbird was named after Anna Messena, the Duchess of Rival, a European Noblewoman in Italy during the 19th century). Similar to the adult female. Lacks iridescence in the gorget. 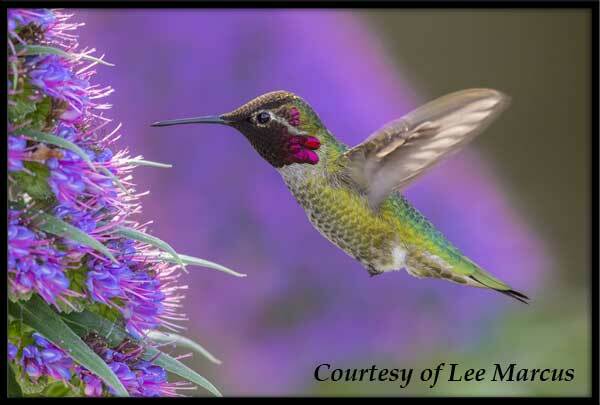 Habitat: Backyard gardens and parks that provide feeders, nectar rich flowers and a water source, they will also inhabit the edges of a redwood forest and mountains up to 6000 feet. Mating: The Annas hummingbird is one of the earliest birds to breed in North America and sometimes lays eggs as early as December. The gooseberry plant, which blooms early, is one flower that is known to have co-evolved with them making this possible. It flowers early and some Anna's fiercely defend a territory with a good supply of gooseberry. There are a wide range of other hummingbird flowers that are favorable to the Anna’s. In fact, at one time this species only bred in part of Northern California and Southern California. 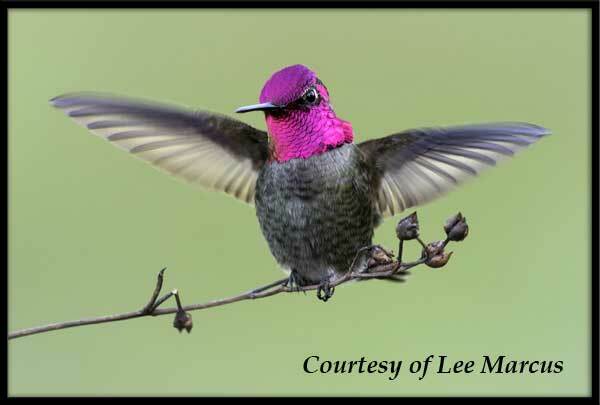 Now, it breeds all along the west coast up into Canada because people have planted the flowering trees, flowers, and vines which are great nectar sources for the hummingbirds. Also, today so many people love hummingbirds and they supply hummingbird feeders to supplement the flowers.